AJS Motorcycles was re-started in 1974 when demand for quality affordable vehicles such as AJS motorcycles & scooters became aparant. Fluff continued the parts supply for the AJS Stormer and produced affordable FB-AJS Moto X machines for the clubman racer, and 250cc trail bikes. His eldest son Nick Brown, joined the company in 1987 and was soon looking East at the array of small, affordable motorcycles built in China. 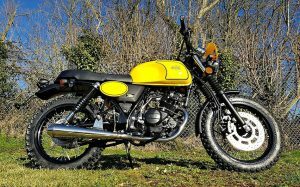 One of the first children’s Chinese built off road bikes available in the UK was the Jianshe Coyote-80. 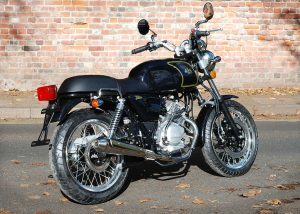 It was first imported and distributed through a dealer network by AJS in 1998. This well built little machine was an outstanding success and proved very robust and reliable. It showed that Chinese motorcycles, could be built to a high standard. 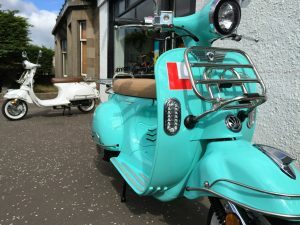 AJS Motorcycles & Scooters are available on low rate finance, you can find out more and apply online here. We are authorised and regulated by the FCA to offer finance on products. A copy of our valid licence can be found here. 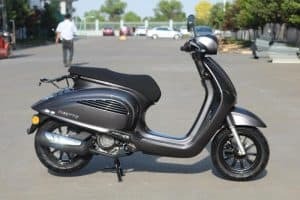 Want to check out the range of motorcycles & scooters again? Use the following quicklinks to get to where you want to go to fast. All current AJS motorcycles are European Whole Vehicle Type Approved to meet European safety standards and emission levels. 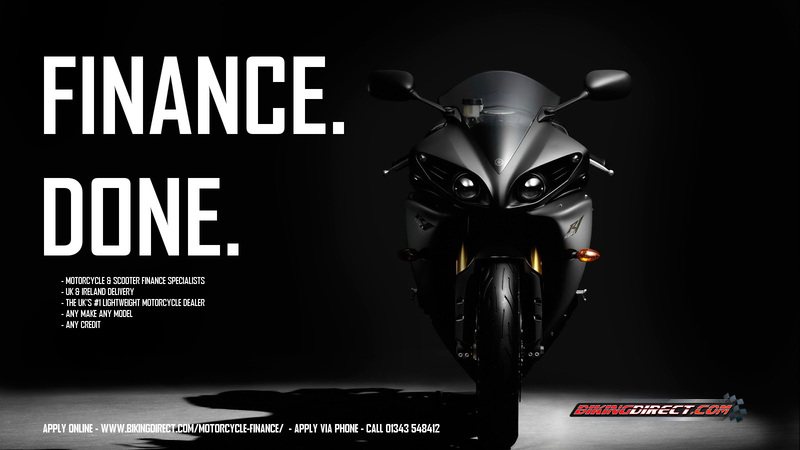 AJS knows only too well how important it is to backup a complex product such as a motorcycle. That is why AJS are long time members of the Motorcycle Industry Association and adhere to the MCIA Code of Conduct, and have invested heavily in a comprehensive spare parts supply infrastructure. AJS have a dedicated team of, knowledgeable staff who take care of customer support and the distribution of spare parts. Motorcycles are a way of life for the AJS team. 90% of the staff ride and/or race motorcycles. Even on our days off, staff members are involved with motorcycles, riding, racing and maintaining them. So you can see, AJS can truly relate to their customer’s concerns and needs. Trust in AJS to serve you best. If you search the internet for AJS Motorcycles you will see a whole spectrum of motorcycles from the last one hundred years or so. That’s great, but what does it mean today? how old is the company in its current form? what is the mission for AJS? How does AJS relate to its customers? AJS was re-started by the late Fluff Brown in 1974 when Fluff, who was previously the competition manager at AJS, bought out the ailing company from Norton Villiers. 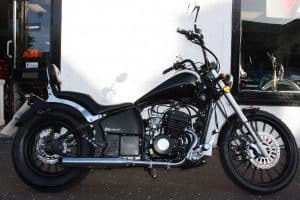 Why buy an AJS Motorcycle? Low running cost, a 125 motorcycle or scooter can return close to 100 mpg. Inexpensive to insure compared to a car. Easy to park, often for free. CBT is much cheaper than getting a car licence. Shorten your journey time by filtering through congestion. Great fun and a sense of freedom. OK, so you get the benefits of motorcycling. Why should you choose an AJS? 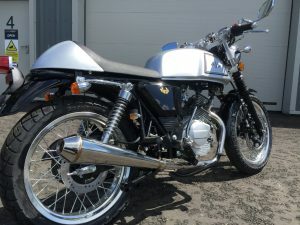 AJS motorcycles offer great value for money. AJS run a very tight, lean organisation which keeps costs low and passes this low price on to you the end customer. That’s not to say quality is compromised. Trust AJS to serve you best.